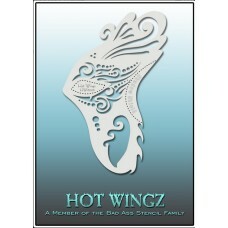 Hot Wingz stencils have a unique wing shape that is designed to fit perfectly around the eye area. Integrated on every Hot Wing is a Shadow Shield (to protect the skin under the eye from over spray) and a "Wing Ding", an additional shield to block out areas of the stencil. 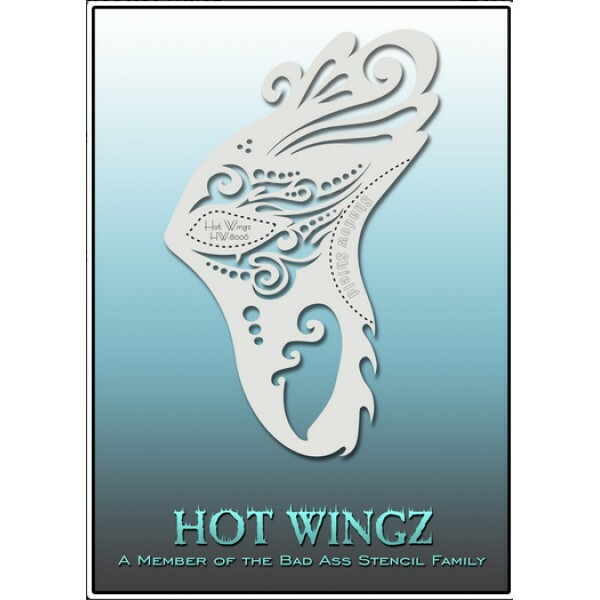 Each Hot Wing "flavor" includes thematic combinations of eye shadow templates, fun shapes, intricate textures and decorative edges, which can be used separately or mixed-n-mingled to create dozens of looks for the eyes, face and even the body! A must have for every face painting artist!